Robotics is open to St. Luke Catholic School students in Grades 5-8. The name of their team is the ElectroLions. 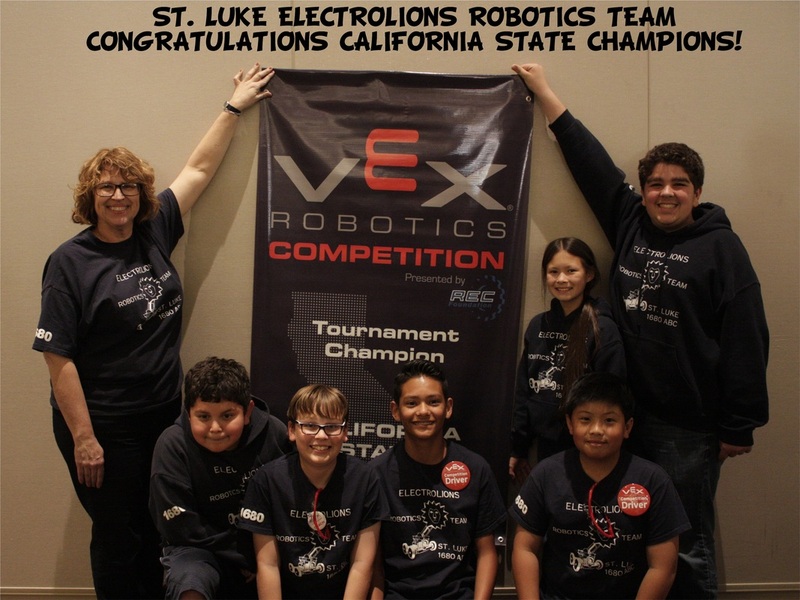 We are the ONLY elementary school in the Los Angeles Archdiocese with a Competition Robotics Team. Our students design, build, program, and drive the robots. They compete at local and regional events throughout the year. For the past few years, they have qualified for the U. S. National Robotics Championship in Omaha, Nebraska. As well as, qualifying and competing at the World Robotics Championship.